With the bachelor in Geology you to discover, understand and deepen the fundamental knowledge about the Earth’s crust, its composition, structure and resources. Your training will also give you the necessary tools for the practical application of these concepts. You’ll be able to observe and describe the geological phenomena and their evolution in time and space and to develop models based on quantitative methods to explain a wide variety of data. You will receive, in the laboratory and in the field, additional training in the areas of the environment, exploration and geology. The program also aims to increase your sensitivity to environmental issues in order to promote an environmentally friendly practice of the profession. A passion for science, nature and the mineral world. Love learning while observing and analyzing phenomena. Loving move and explore territories. Love teamwork. Being pragmatic, curious and have the sense of observation well developed. Have good physical resistance. Have a good adaptability. Possess computer skills. 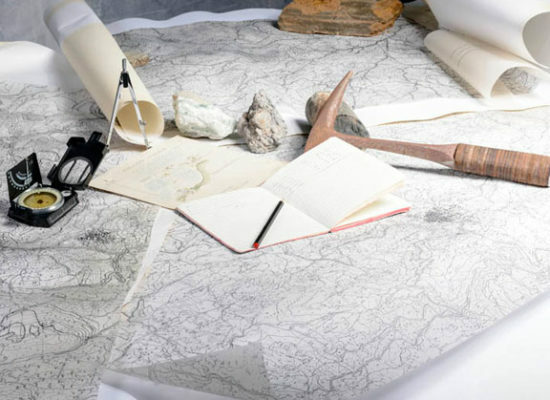 This geologist will let you work primarily in the areas of cartography applied to mineral or oil exploration, inventory landmass or the protection of the environment. A field of expertise of the profession, which is in full development, is to determine, to observe and model the agents and processes that cause changes to the surface of the Earth in order to improve the human environment. This leads to bachelor graduate studies in geology, particularly in the following subject areas: exploration of mineral and energy resources, environment and water resources, mineral potential assessment, characterization and inventory planning and geology consulting. The student admitted to the EA must comply with the provisions relating to the application of the Policy on the use of French at the University GOC. The candidate whose language of instruction in primary and secondary education is not the French must demonstrate a minimum level of knowledge of the French language. To this end, it must pass the International French Test (TFI) from within a network Educational Testing Service (ETS) at the time of filing the application and obtain a minimum result of 860/990. His skills in written French will be assessed on arrival and, where applicable, a patch French courses could be added to its journey. Besides the compulsory courses in the program, the student must pass the practical training GLG-2580 in order to graduate. It can also take three other optional practical training courses: GL-2590 GL-3590 and GL-3591. The credits of these courses are in addition to the credit requirements of the program. To register, contact the program director. This course is a practical complement to Planet Earth (GL-18751), from field trips and laboratory exercises. The first objective is the reconstruction of part of the geological history of Haiti through its geological landscape and major crustal materials (minerals, rocks and fossils). Laboratory exercises promote understanding of geological maps to establish chronological relationships and make assumptions about the geological history of a region. The course finally possible to study certain properties of geological materials and utility engineering. Additional charges are required to pay for transportation during field trips. This course aims to promote different aspects of career in geology and geological engineering. Speakers working in discussing their profession, their career and opportunities to geologist and geological engineer. It provides an overview of data on the labor market and the best strategies for success. The graphical representation of tools, processing and analysis of spatial data used in this course to solve geo-environmental issues for the development, management and sustainable exploitation of the territory. The course focuses on the development of geographic information systems for real case studies in environmental geosciences. The main features of the ArcGIS platform are seen during its practical use at the departmental computer lab. Before attending this course, students should be comfortable with computing. This course teaches the student to use the polarizing microscope in transmitted and reflected light to identify the main minerals of rocks and minerals. Students measure the optical properties of materials grain and polished sections. We introduced him to scanning electron microscopy techniques (SEM), electron microprobe (EPMA) and X-ray diffraction (XRD) to give a more complete picture of the microstructure of materials. The laws of thermodynamics explain the energy exchange and phase changes. In this course, they are applied to natural systems in order to understand the physical and chemical transformations asssociées geological phenomena. The analysis of parameters controlling these transformations can predict the behavior of matter, particularly during the mineralogical reactions. Practical exercises illustrating various situations specific to the earth sciences, are proposed in order to apply theoretical concepts to solve problems. Methods and techniques specific to the study of Quaternary deposits, sedimentary processes and environments, characterization and properties of surficial, stratigraphic elements, analysis of land using aerial photographs and remote sensing, photo-interpretation applied to projects engineering and environmental. Contributions of geophysics to the understanding of our planet Earth and the development of the theory of plate tectonics. Internal constitution of the globe and geodynamics within the constraints defined by geophysics: tectonics on a sphere, reconstruction of the past movement of lithospheric plates with the geomagnetism, study of earthquakes and seismic wave propagation within the Earth, gravity, radioactivity and isotopic dating, thermal behavior and age of the Earth, mechanisms of global tectonics, physics of oceanic and continental lithospheres. The Earth is a dynamic system that generates a variety of magmas in a variety of tectonic environments. Two fundamental questions arise: how does one recognize igneous ? ; how these rocks they crystallize? This course teaches the student to describe, recognize and master the basic concepts of chemical and mineralogical compositions and to understand and interpret the origin of common igneous rocks. A synthesis work on a magmatic after completing the course. Additional charges are required to pay for transportation during field trips. This course is an introduction to petrography and petrology of sedimentary rocks. It is divided into six chapters: physical sedimentary structures, chemical and biological; Terminology, classification and interpretation of sediments and sedimentary rock sequences of sedimentary rocks; analysis of current and ancient sedimentary environments; Diagenesis and Geochemistry; archives sedimentary rocks on a large scale and comprehensive framework, including plate tectonics, paleoclimate and evolution of organisms; the applied aspects of sedimentary geology (minerals, oil, coal, or potable groundwater). The course combines theory with several field trips and laboratory work (general petrography, thin section microscopy). In pairs, students must produce a terminal synthesis report. This course aims to introduce the basic principles of fluid flow in porous media and its main applications in the field of exploitation and protection of aquifers. It deals with the flow of groundwater in geologic materials, aquifer properties, hydraulic pits, the role of groundwater hydrology and related to operations or practical problems in groundwater monitoring . The course is especially for students of geological engineering programs, geology, water engineering, mining engineering, engineering physics and civil engineering. Data analysis and modeling methods of presentation taking into account the heterogeneity and anisotropy of natural environments. Regression. Classification. Time series and spatial variability. Concepts of geostatistics. Interpolation, numerical methods. Use of software (MATLAB) to solve problems related to Earth Sciences. Analysis of deformations in the crust goes through several stages. The descriptive analysis is to characterize the three-dimensional geometry of structures and factories from field observations. Subsequently, the cinematic analysis of the structures requires the characterization of the direction and sense of movement that assesses how the earth’s crust changes shape going from an initial state to a non-deformed deformed final state. The third step falls within the dynamic analysis of the deformation and is based on the study of forces and constraints is based on the theories of rock mechanics and the laws of physics. This course is designed to bring the student to use the knowledge acquired in the theoretical sessions to apply them to solving various practical problems and to study the structural analysis of specific cases. To allow as much as possible independent learning, teaching is bimodal. Some learning takes place in a room, under the supervision of professor or trainer, and other activities take place remotely. Part of the educational material of the course is available online on the course website. This course is an introduction to field work and methods of geological mapping, including the use of aerial photographs, GPS and compass. It also includes the description of geological objects and integration of a set of data points for interpreting the stratigraphic and structural history of a region. Finally, it provides mapping tools desktop. The course concludes with two weeks of practical work in the field. Additional charges are required to pay for transportation during field trips. This course is an introduction to the main geophysical methods (gravimetric, seismic, electrical, magnetic and electromagnetic), their basic principles, design and implementation of geophysical field surveys, collection of geophysical data, reduction and interpretation of geophysical data qualitatively and quantitatively. This is a practical introduction in the laboratory and in the field, instrumentation and the most commonly used geophysical techniques in the fields of geology, exploration of natural resources, hydrogeology, environmental and geotechnical. Mineral exploration allows the discovery of mineral deposits. This course is mineral exploration in its economic and legal context. Designing an exploration program integrates geology, geochemistry, geophysics and drilling to explore and develop mineral resources. The course includes practical exercises and compulsory geological excursion during the first week of the session. Additional charges are required to pay for transportation during field trips. This course provides an understanding of the physical, chemical and mineralogical transformations of sedimentary and igneous rocks during burial and exhumation of their occurring in places geodynamic active warming. These transformations obey the laws of thermodynamics. It is therefore possible to reasonably quantify certain parameters such as temperature and the actual pressure during these transformations. The quantitative evaluation of these parameters provides valuable information on the progress of local reactions (contact metamorphism) or larger (regional metamorphism). The study of metamorphic rocks is useful to understand the evolution of particular ocean basins and the formation of mountain ranges. The development of analytical skills is an important objective of the course. This course aims at understanding natural cycles of elements and geochemical reactions acting in Earth’s surface envelope. Concepts in analytical geochemistry; principles and applications of geochemistry of mineral exploration; environmental geochemistry (acid mine drainage, metals in aquatic environments, chemical weathering processes of rocks). Oral and written presentations of individual projects and team. This course focuses on the integration of geoscientific data (geophysical, geochemical, geological, geotechnical and hydrogeological) to develop, for a study area, a useful geoscience model to different areas of Earth Sciences. The concepts of geostatistical analysis of regionalized variables, interpolation and mesh these variables, reduction by filtering potential field using the Fourier transform, to mapping and overlay layers of geoscience information are developed and applied case studies. Several geographic information systems will be developed to integrate geoscience data available in an area of study and calculate indices of mineral favorability or vulnerability to a given natural hazard or contamination of groundwater in this region. This capstone course is intended for students who have received advanced training in geology and geological engineering. The course aims to integrate acquired knowledge in the main disciplines of Earth Sciences in the context of holistic plate tectonics. The analysis of contemporary geodynamics of the Earth allows the student to understand the old questions. Academic courses are paired with thematic laboratories that examine in detail the complexity and diversity of geodynamic environments. In this course, the study of geology and the formation of mineral deposits is integrated into the geological evolution of the host rocks. The temporal and spatial distribution of mineral deposits also allows a regional metallogenic analysis applied to a region of Haiti. Learning collecting and journalistic coverage of scientific information. Distinction between scientific journalism and related practices such as extension and scientific communication. Mediating role of journalists in a context where scientific challenges more complex require good communication between scientists and the general public. Scarcity, choice and opportunity cost. What to produce, how to produce and for whom to produce. Factors determining the demand function and supply for a product. Price and equilibrium quantity. The laws of supply and demand. Concept of elasticity. Government intervention. Consumer choices: preferences and budgetary constraints. The choice of companies: profit and production function. Cost functions. Price competitive markets and monopoly markets. Economic analysis, theoretical and practical aspects of environmental problems and solutions that may be proposed: pollutant emissions control policies (taxation of pollutant emissions, tradable pollution rights, regulations currently in use, etc. ); proposals economists on monetary valuation of benefits and costs related to environmental protection; current issues, such as the greenhouse effect. Reasoned analysis of the configuration and the relative position of major world regions. Analysis of their distinct geographic content on the one hand and dominant and common traits on the other. Particular attention to the historical foundations of state formation, political news and its roots. Problems of health and work safety, legislation and regulations. Accidents and occupational diseases. Elements of ergonomics and work postures. Consequences of accidents, incidents and occupational diseases. Enterprise security organization. Prevention systems. Safety assessment. WHMIS. Notions of risk. Types of exhibitions. Foundations standards. Risk assessment of dust, noise, vibration, thermal stress and lighting. Methods for measurement, control and protection, standards and regulations. Risk management. Special provisions and regulations for construction sites. Aggressor in construction. Signs and public safety during the construction work. Facilities of individual and collective protection. Means of access, scaffolding. Heavy machinery and motor vehicles. Prevention measures when working in trenches and excavations. (Course duration: four hours / week for 13 weeks. Pass the course ANL-2020 Intermediate English II. The student who demonstrates that he has acquired this level can choose an English graduate courses or, if it acquired the Advanced level English II, a course of another modern language. This course deals with the management of risks with hazardous materials according to the labor laws (WHMIS). The properties of the various categories of chemicals and radioactive substances are presented in a context of use, storage and interventions during accidents. Physicochemical properties of pure water and natural waters thermodynamic aqueous solutions. Chemical equilibria. Acid-base reactions in aqueous solution. Solubility of gases in water. Solid solubility in water. Redox and electrochemical equilibria. Complex formation in aqueous solution. This multidisciplinary course aims to introduce a general scientific training clients on environmental issues. Based on scientific studies, the student must be able to understand environmental issues related to pollution, new technologies and new forms of energy. He must also understand the role of the chemist in understanding and solving environmental problems facing modern society. Soils and their origin, mineralogical and chemical composition, description of the porous medium. Physical characteristics: texture, relative density, texture, clay mineralogy, friction and cohesion. Visual identification of soil classification systems. Soil hydraulic properties: capillary permeability, infiltration. Pore pressure, hydraulic gradient, effective stress. Flow networks. Frost susceptibility of soils. Compaction. This course begins by processing stresses and elastic deformations in soils. It then discusses the theory of one-dimensional consolidation and conventional ruptures criteria, such as the Mohr-Coulomb criterion. The course ends with the integration of the consolidation and shear strength under critical soil mechanics. This course’s main objective is to introduce students to the key factors and processes that cause the dynamics and current and past distribution of living organisms: abiotic and biotic ecological factors; bodies from range; natural ecological disturbances (fires, insect defoliators outbreaks, blowdown, dieback); the millennia history of ecosystems; living world biodiversity; island biogeography; the origin and evolution of the biosphere; describing ecological areas of Haiti; Human impacts on the natural environment. Analysis of the climate system and its operation. Several elements of climatology and meteorology are covered: the composition of the atmosphere, the radiation balance of the surface of the earth and the earth-atmosphere system, atmospheric dynamics, the general atmospheric circulation and regional circulation, the diagram aerological and stabilizing and destabilizing process air, the air masses and the associated types of weather, the water balance, numerical weather prediction and climate and many other topics of Applied Meteorology and Climatology. The objective of this course is to provide the student with an introduction to processes, forms and sediments found in the current and past glacial environments. It comprises three parts: glaciology; glacial geomorphology and sedimentology; glacial geology. Courses based on the acquisition of knowledge and understanding of concepts as well as learning some spatial analysis methods. The main topics are the nature of spatial information, spatial data problems, the search for spatial structures, spatial data mining, and stratified random spatial sampling, analysis of the distribution of phenomena in geographic space according to their location: dots, areas, continuous surfaces. Properties of soil and rock excavation within a perspective: concepts of penetration of rippability and drillability. Principles of excavation methods for civil works (hydroénergétiques projects, subways, tunnels, underground tanks, etc.) and mining engineering. Presentation techniques of excavation and mechanical excavation (TBM tunneling type, marking machine, drilling the vertical section full and very inclined openings). Diamond drilling techniques, percussion and rotary. Types of explosives and properties. Blasting accessories, ignition systems and loading of explosives. Design of drilling and blasting work (surface and underground). Plans and specifications. Evaluation of operating costs. Environmental aspects of the excavation operations: awareness, prevention and mitigation of negative effects. Application fields of rock mechanics. Principles stress-strain. Rock mechanics behavior. Mechanical properties of intact rock and discontinuities. Failure criteria. Characterization and classification of rock masses. Mechanics of underground structures. Slope stability: failure modes, analysis, design, building and surveillance. Sustainable development in the mining and metallurgical industry. Environmental problems of metallurgical industry. Contribution to the problem of greenhouse gases and acid rain. Pyrometallurgy sulfides, pyrometallurgical processing of gas and dust. Hydrometallurgy of gold, treatment of cyanide waste. Pollution of steel and aluminum metallurgy. Mining: effects of mining operations on the surrounding environment, acid rock drainage, prevention and control. Toxicity and treatment of mine effluent. Regulatory and legal aspects concerning the opening and closure of mines. Design and control of tailings, construction of dams, tailings are located. Environmental management in a mining company. Probability theory. Laws for discrete and continuous variables. Bivariate discrete laws. Descriptive statistics. Point estimation and confidence interval. Tests of parametric assumptions one and two populations. Analysis of variance. Regression and correlation. The study of the concepts of continuous random variables is done using the calculus. Study compositional, textural, physical and chemical properties of aggregates that may affect their behavior in service. Description of the various tests used to determine these characteristics. Review of specifications and interpretations of results based on the envisaged applications (granular foundations, bituminous concrete, cement concrete, etc.). In the laboratory, the student will become familiar with the tests and equipment used for the characterization of aggregates, as well as with the interpretation of results. Characterization of contaminated soils and aquifers; Physical and chemical properties that affect the mobility of contaminants classes. Mitigation and transformation of contaminants in soil and groundwater. Process and transport equations by advection, dispersion, diffusion and reaction; Numerical simulation of mass transport. Methods of control, surveillance and monitoring in the field. Basics protection and site restoration techniques. The logs are obtained from tools inserted into a well to measure the properties of rocks and fluids in depth. They can analyze lithology, structure and fluid saturation level of the surface crust. These tools are used by the oil and gas industries as well as by companies specializing in water resources. Their application in exploration and mineral production is also in development. This course covers the operation of devices, processing and analyzing data. The course provides an opportunity for participants to analyze the field of geo-engineering problems affecting such areas as: natural hazards, geotechnical, slope stability, hydrogeology, construction materials, environment and roads. Preparatory work on the excursion, individual reports and teams are required. Teams of students prepare a proposal and a preliminary study of important project Geological Engineering (geotechnical, environment, mineral resources, construction). The work is done in consultation with a group of teachers of the department. Proposals must be consistent with national or provincial standards and must include the analysis of costs and construction schedule. Proposals are evaluated by a committee of professors and engineers in private practice. The assessment is based on the presentation of a file containing the documents consulted, the records of working meetings and a final report in a team. Provide the basic elements necessary for qualitative and quantitative analysis and risk management; illustrate the main types of natural hazards; understand the causes of mass movement (terrestrial and marine) and failure mechanisms from case histories presented at various conferences and workshops; assimilate the main failure criteria (soils and rocks) and rheological laws; control, for achieving personal work, analytical tools and postrupture break in slope; apply the analysis and management of risk and determine appropriate mitigation methods to a particular case of mapping the risk of a given sector. Visits to some classic of geological interest sites. A project must be submitted by students and approved by the program committee that will see its supervision. Accepted students will have at least five semesters in a regular program of the Department. The costs are borne by students. This course allows students to apply the basic concepts and methods of field geology. The field observation, description of geological objects, interpretation of geological processes of formation and spatial and temporal evolution of geological systems are at the heart of ongoing activities. The course involves additional costs. Research project in geology or literature review on a subject on earth sciences under the guidance of a teacher. Writing a typed memory and presentation as a seminar. The project must be approved by the coordinator. The student must have acquired 60 credits of the program and have an average program of equal or greater to 3.67 / 4.33. To complete 12 credits in the entrepreneurial profile, the student must pass the course GGL-2608 which is mandatory in the program.